This New Zealand native evergreen outdoor tree provides a stunning tropical feel for any garden style. Atlantic Green is one of the rare Cordyline Australis with long sword-like, dark green arching leaves. This palm tree is featured with a stylish architectural structure that will add strong Mediterranean style to your garden. This is an easy to grow plant that does not create any fuss about the type of soil or with any particular demands. Atlantic Green Cordyline will look like a fountain sitting in a large garden container. The blades of this palm are bright ocean green in colours. In summer, the mature plant will bloom sweet-scented white flowers that attract the attention of the bees and butterflies. It can grow up to a height of 4-6 metres when grown outdoors. The green foliage will add year-round interest to your garden. Cordyline Atlantic Green will thrive in full sun in a well-drained soil, protected from the cold winds in winters. Adding a decent quality loam-based compost in containers to ensure healthy growth of the plant. It is not a winter hardy plant and can withstand temperatures only up to a certain degree below zero. After the frost season, prune and remove any frost-damaged branches until the fresh shoots. Even though Atlantic Green look great in containers, their ultimate glory can be experienced when they are planted in the ground with enough space to grow. 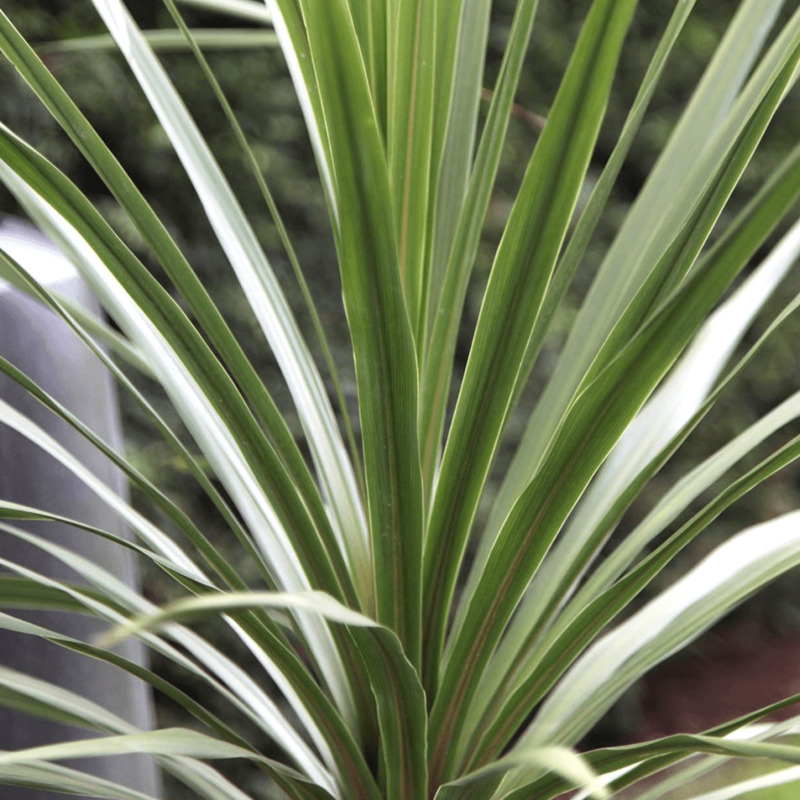 Cordyline Atlantic Green is perfect for any garden type. Grow it in large containers on the patio or deck, or at the entrance sides.